The Ook 7-Piece Perfect Picture Hanging Kit includes the hardware required to hang 1 picture like a professional. For drywall and plaster wall surfaces. 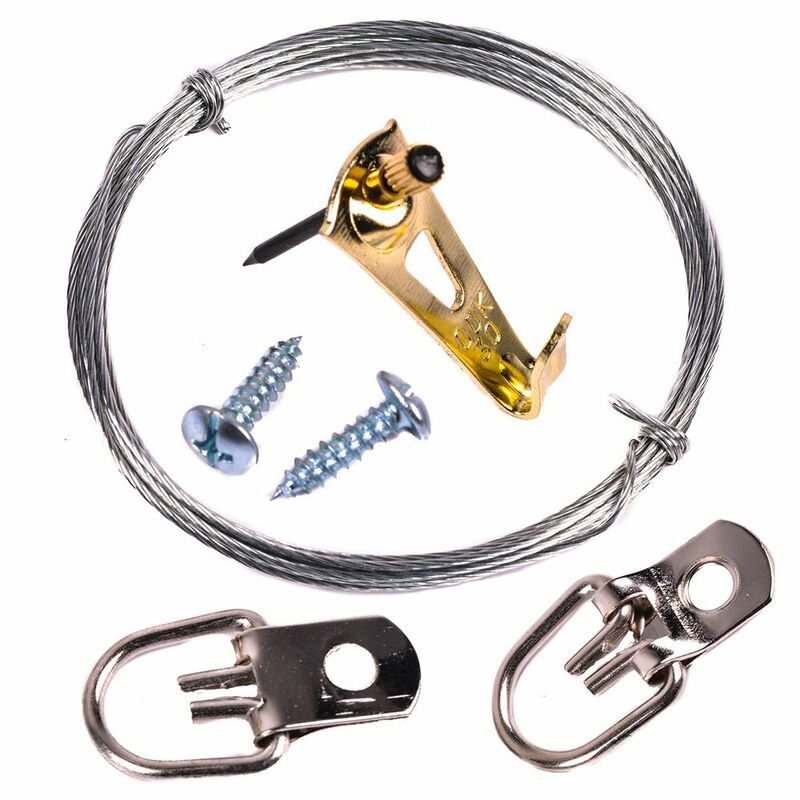 Ook 30Lb Perfect Hang Kit The Ook 7-Piece Perfect Picture Hanging Kit includes the hardware required to hang 1 picture like a professional. Ook 30Lb Perfect Hang Kit is rated 1.0 out of 5 by 2. Rated 1 out of 5 by tj from I WISH I would've seen and read the previous review. I too bought this for a custom frame I built... I WISH I would've seen and read the previous review. I too bought this for a custom frame I built, it weighs about 25 pounds, luckily I hung it up slowly so when the wire snapped in half I was still holding onto it. Had to go out to another store and buy I thicker wire. It is hanging now using the nail it came with, but it's only been up for about a day, I'm going to the store ASAP to buy new nails and hook to go into the wall to make sure it stays hanging. Rated 1 out of 5 by joca from weight is not accurate I bought this kit to hang a custom frame I made, that weighed 23 pounds. It was up on the wall for 2 days before the nail broke in the wall and the frame came crashing down, shattering the glass all over the floor. I'm just thankful my one year old wasn't injured. The packaging said this was for up to 30 lbs i am very dissappointed, as now i have to buy new glass and figure a new way to hang it. waste of money.